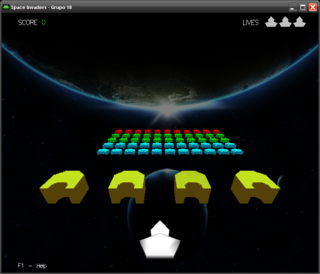 This is a game project using C++ programming language and GLUT, the OpenGL Utility Toolkit. 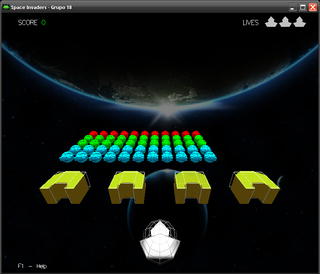 This game was done for the Graphical Computation class at Instituto Superior Técnico in the 2012-13 academic year. 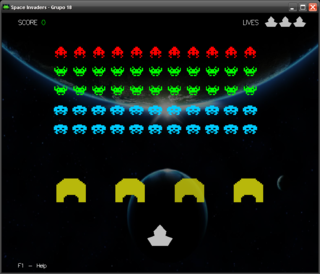 The game is a reproduction of the classic Space Invaders, with the peculiarity of being 3D. 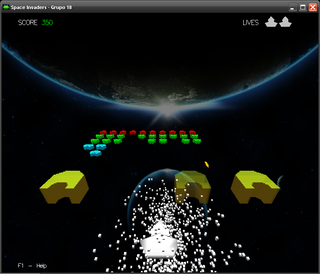 This game was developed in Visual Studio and for Windows, although it can be easily ported for Mac OS and Linux with a few changes. It can also be compiled using MinGW and the batch script makes it easier, although a Makefile would be the right way to go. 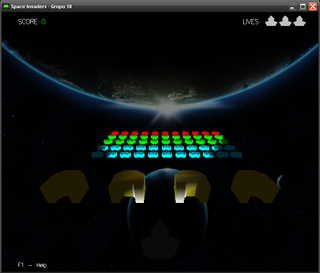 The game is also poorly programmed, not making use of many of the C++ features.